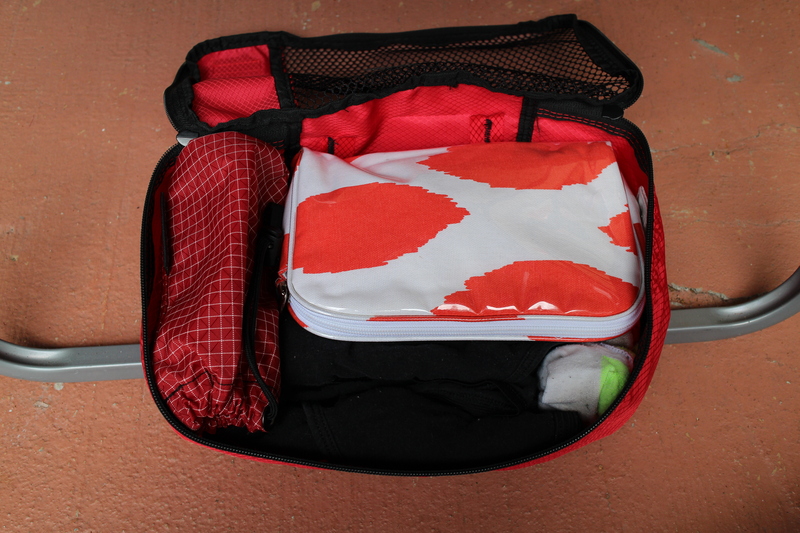 Packing for a Weekend Away in the Tom Bihn Synapse 19 | Finding delight. 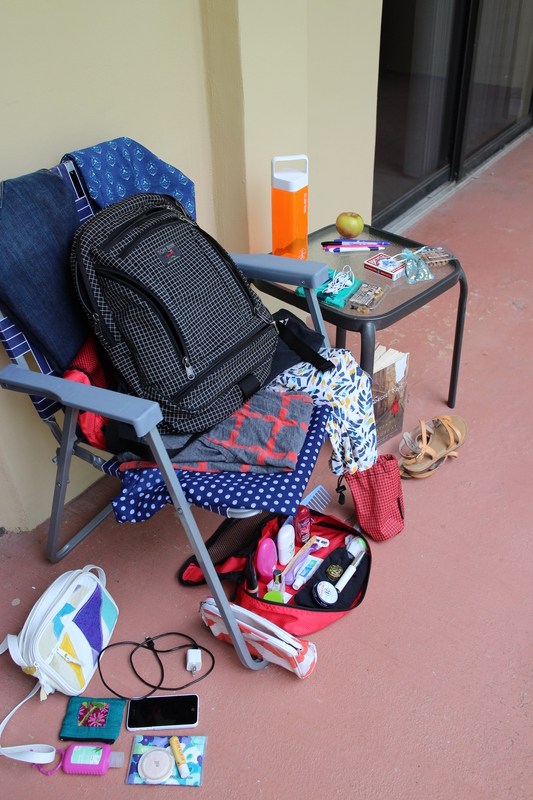 In honor of the looming weekend, I thought it would be fun to show you how I pack for a weekend away in my Tom Bihn Synapse 19. As you may or may not be able to tell from the photo above, this bag is pretty much the size of your run-of-the-mill book-sack. With a volume of just 19 liters, it’s genius lies in the design. 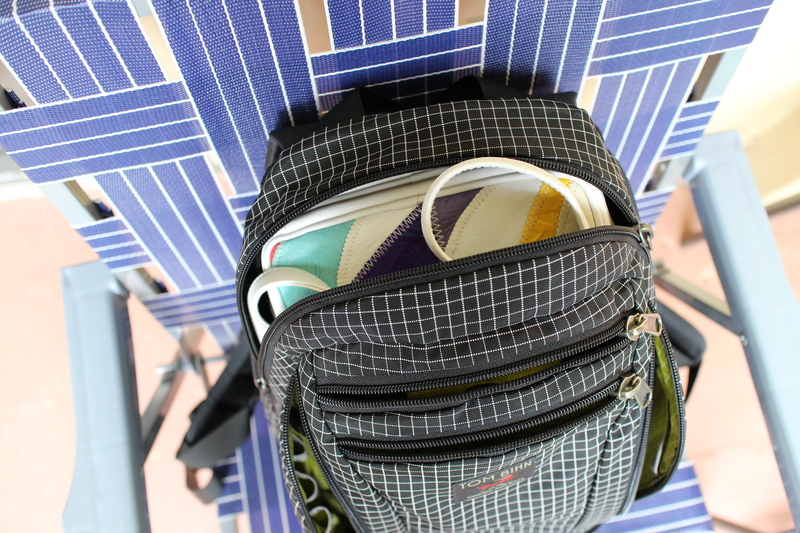 It is a carefully calculated, supremely organized backpack. Fully capable of fitting in everything you could need for a weekend jaunt some place fun. Here’s how I pack mine! 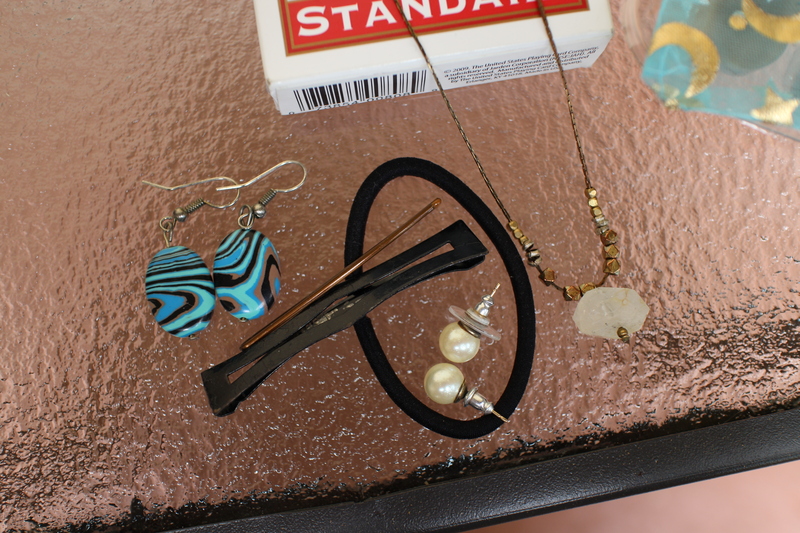 two pairs of earrings, a herkimer diamond necklace, hair tie, barrette, and a bobby pin (in case things get hairy, PUN INTENDED!). 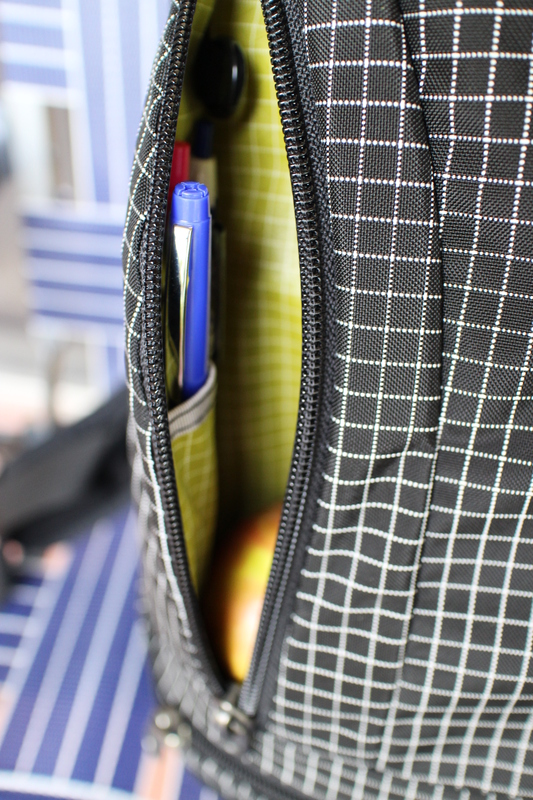 The next outside pocket is one of my favorite features of this backpack. 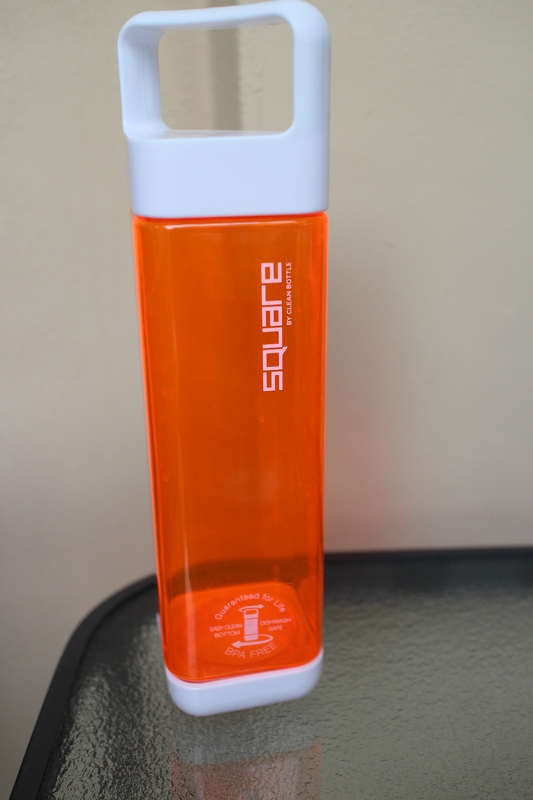 It is deep enough to hold a one liter bottle of water and is expertly designed so that the water bottle is perfectly centered amongst the weight of your load. I’m sorry, what?! 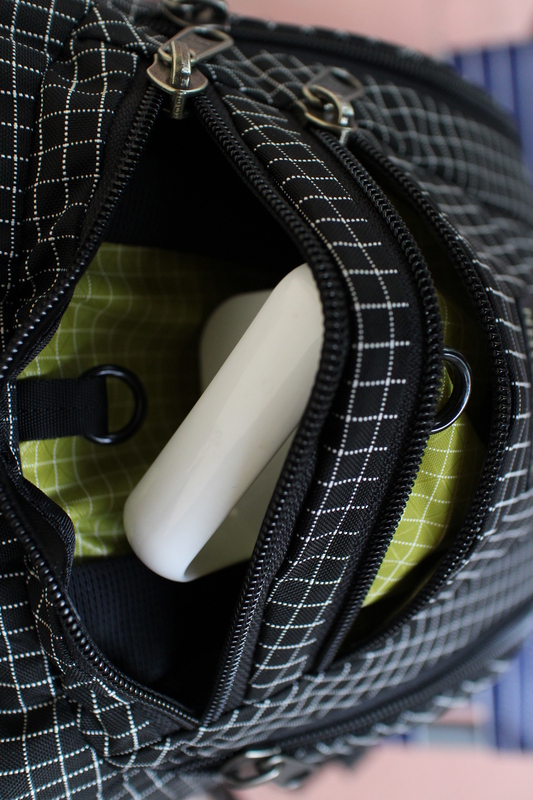 If you’ve ever carried around a weirdly lopsided bag in the name of hydration before…you’ll get why this is a god-send. Not to mention, it makes your water super accessible, which I find to be a really big plus when traveling. Full disclosure: This water bottle is Chet’s and I don’t particularly love it but I couldn’t find the top to the one I would typically use. Whoops! On to the side pockets! Note: I would normally clip my keys (they’re on a carabiner) to the O-ring in this pocket but I forgot to do that. 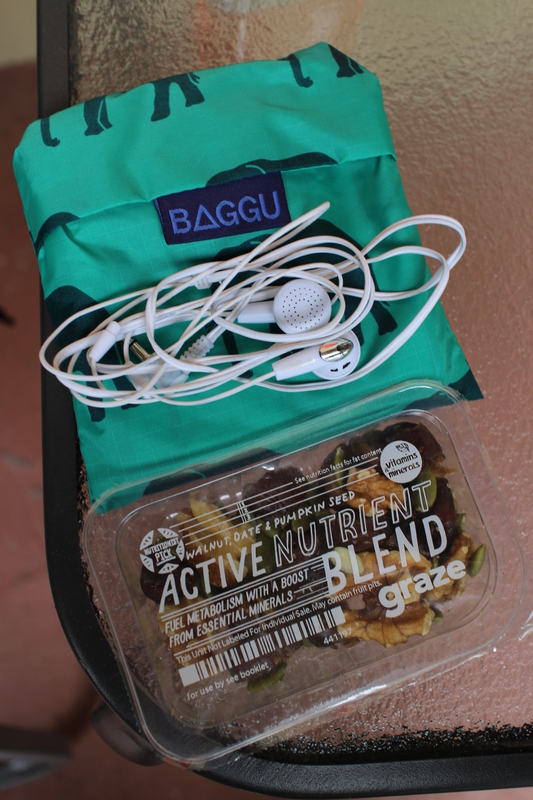 Earbud headphones, ANOTHER snack (notice how many pockets I managed to cram snacks into. Priorities! ), and a BAGGU reusable shopping bag. 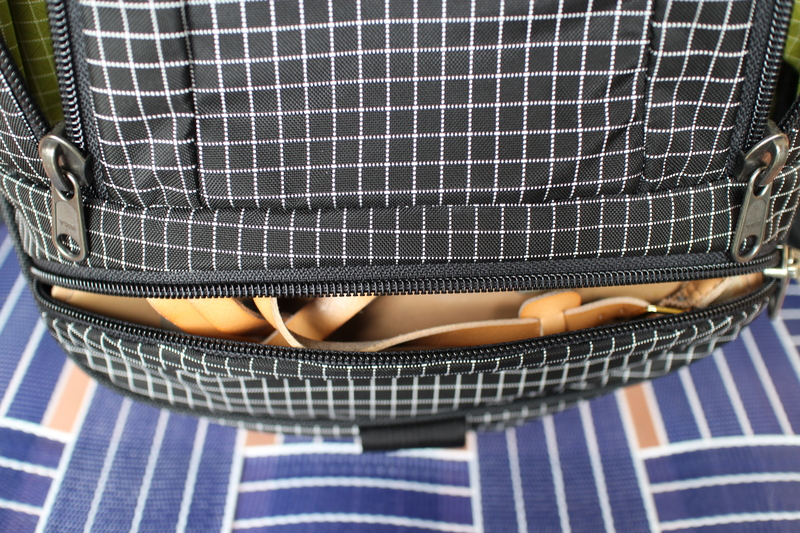 Finally, I threw a pair of strappy sandals into the bottom pocket. I’ve also fit a pair of sneakers into this pocket (For reference: I wear a size 6.) and an umbrella. Now we’ll explore the main pocket! 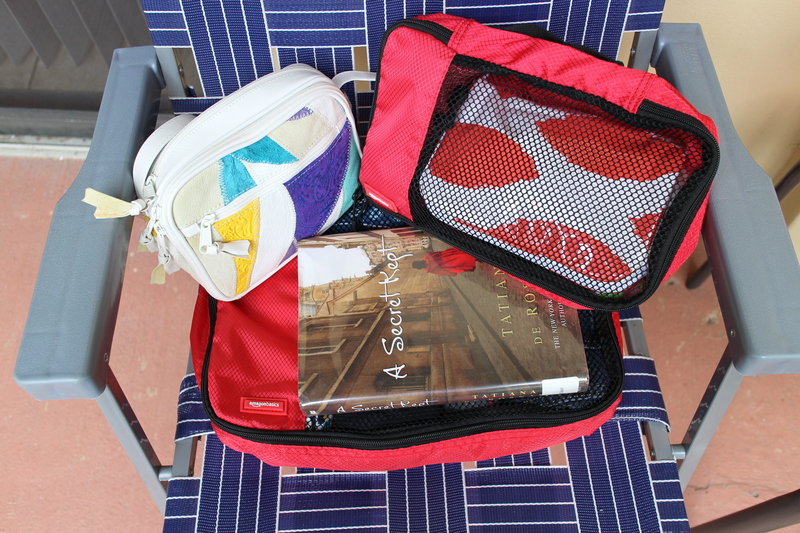 Two Amazon Basics packing cubes and a library book. 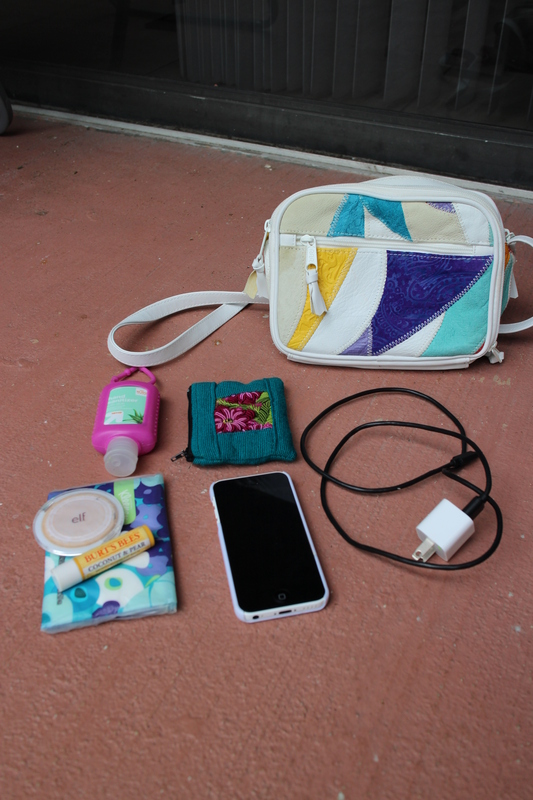 Inside my brightly colored, thrifted purse is my phone and charger, chapstick, compact, tissues and hand sanitizer (AKA: my “I can pee anywhere” kit), and a coin purse to hold my license, debit card, a Starbucks gift card and a few dollars in quarters (they always seem to come in handy). With everything out of the inner bags there’s BB cream, face wash, deodorant, body wash, a comb, moisturizer, perfume, toothbrush, razor, toothpaste, rosebud salve, mascara, and a little pill box for a stash of Advil and Magnesium supplements. 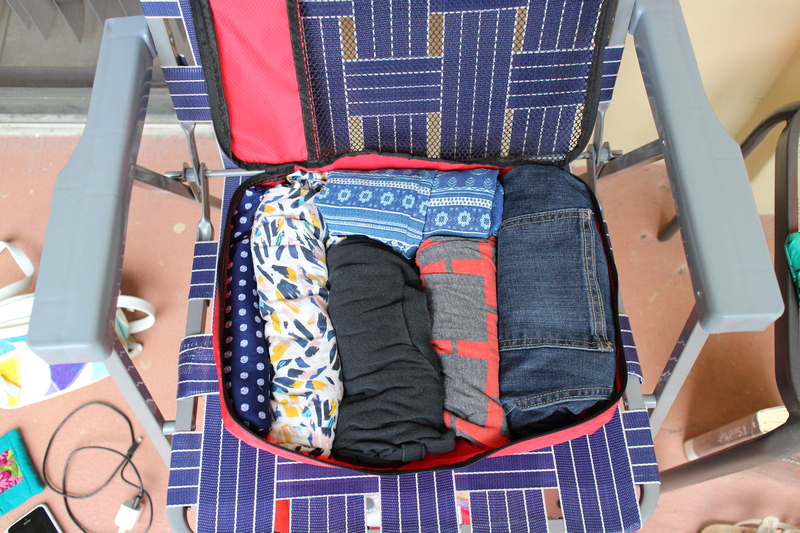 Inside the larger packing cube are all my clothes; including two shirts, jeans, a dress, and pajama top and bottom. All rolled of course! The dress is not needed but it offers a nice option in case I had fun dinner plans upon arrival on Friday and wanted to change out of my travel ensemble. 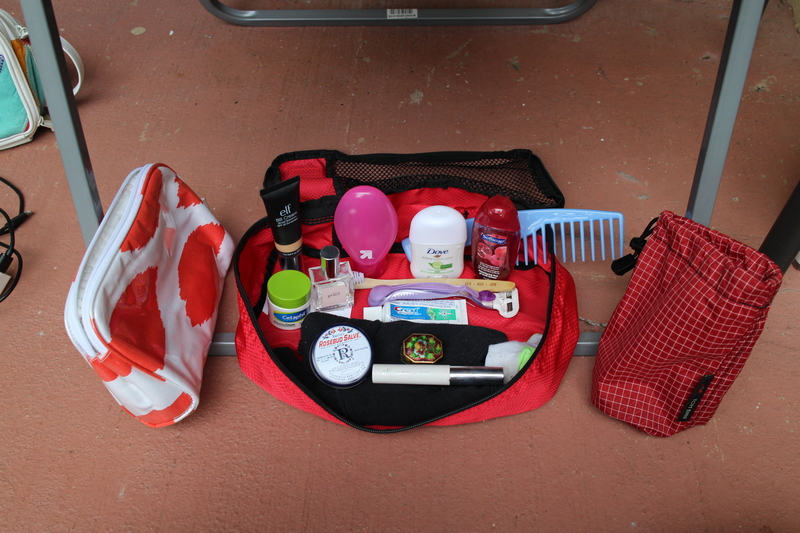 Seems kind of extravagant to have so many outfit options for a one-bag, one-weekend trip, eh? 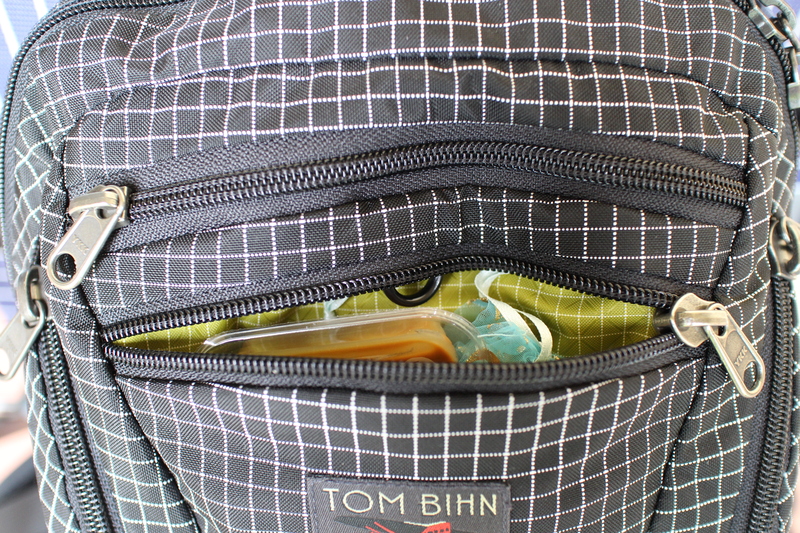 Just another reason to love my Tom Bihn! Time to load this bag back up and set off someplace fabulous! Now, all that’s left is to decide where to go!!! Happy travels! If you have any questions about my packing process, this lovely backpack, or want to share a few tips & tricks from your own one-bag travels…LEAVE ‘EM BELOW! Wow well done! I tend to think I’m a pretty good packer…at home we make a master list and individual lists so that everyone contributes and I (mom) don’t get stuck packing for all four of us! 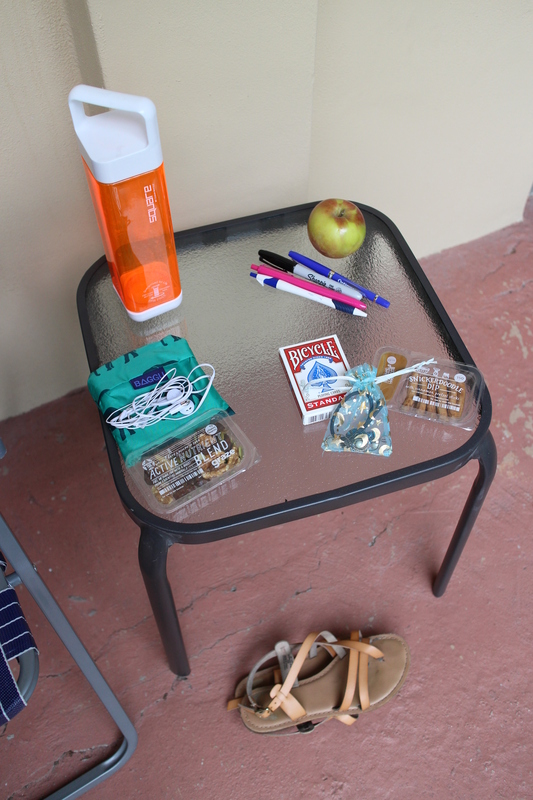 Snacks and entertainment are right at the top of the master list! Lists are a great way to make the packing process easier. 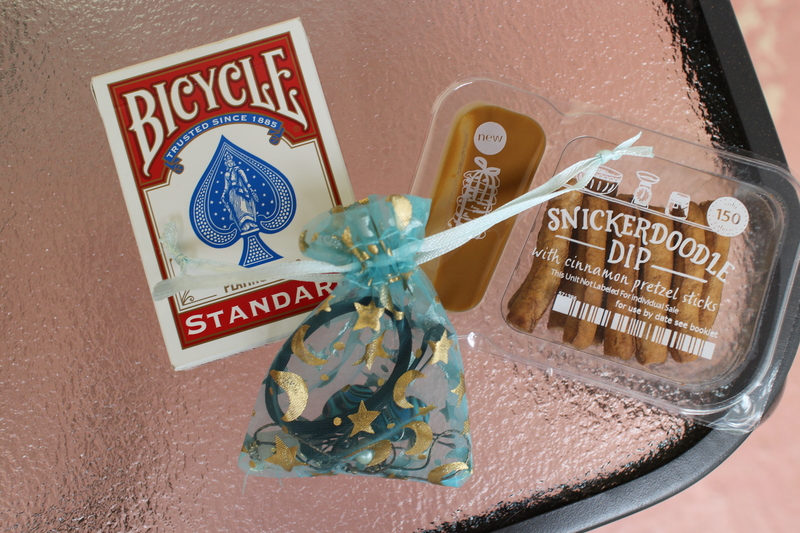 Snacks and entertainment are always a non-negotiable for me, haha! Very nice! Thank you for the review and photos. 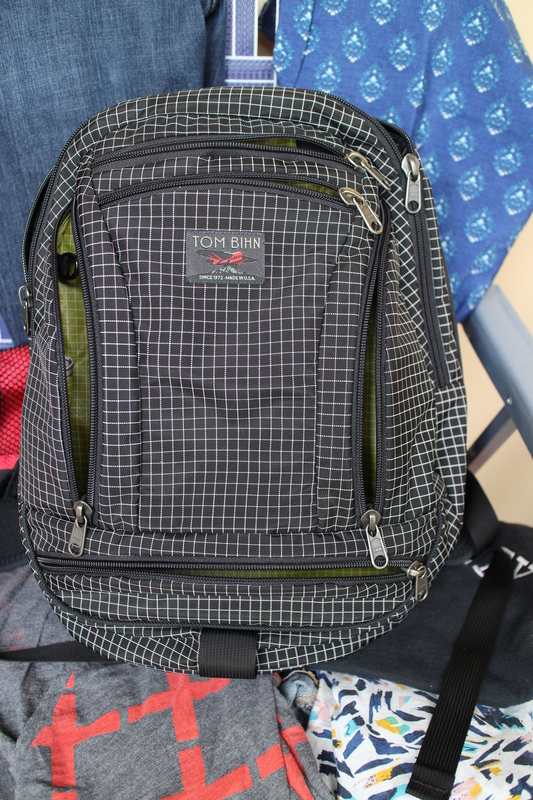 I ♥ Tom Bihn bags! What size are those Amazon Basics packing cubes? Medium and small? 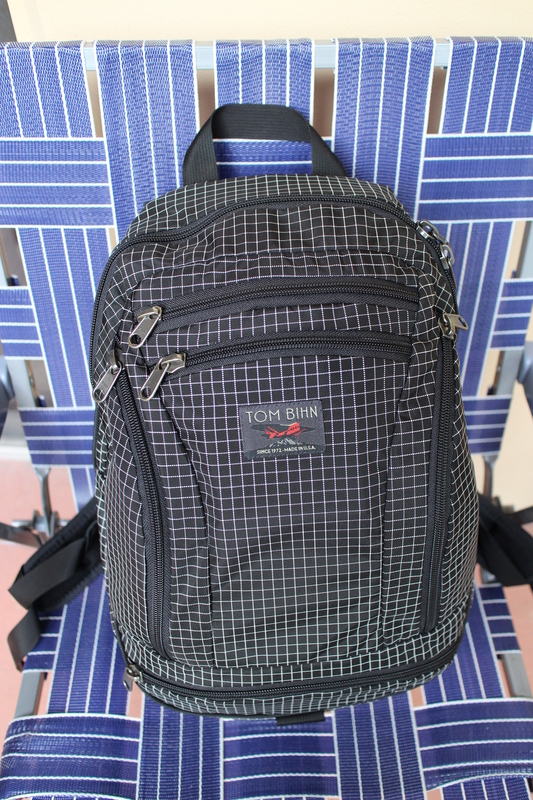 Pingback: 3 Ways to Pack Your Tom Bihn Synapse 19 | Finding delight. 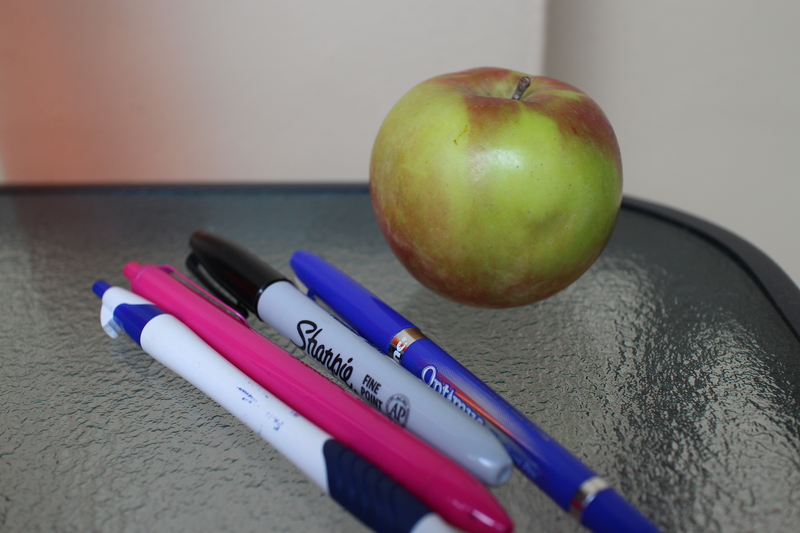 Pingback: How To Remember To Take Your Vitamins (and love it, too!) | Finding delight. 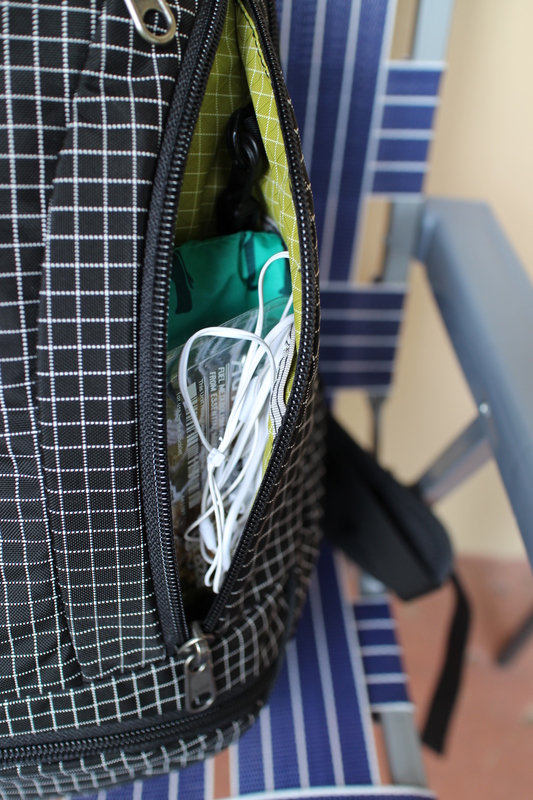 Pingback: The Ins and Outs of the Osaka Owl Multifunctional Charging Backpack | Finding delight. Pingback: Thanksgiving Capsule | Finding delight.